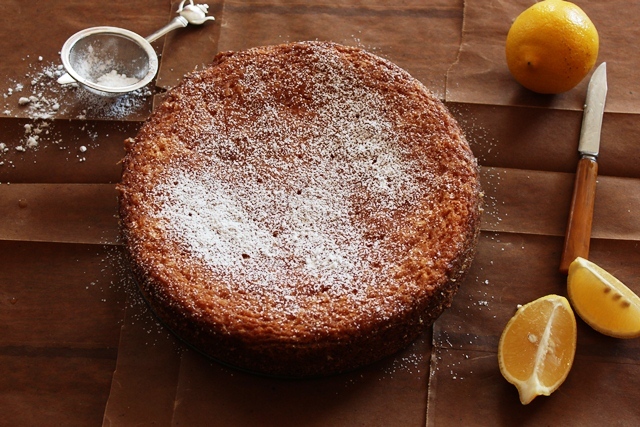 I have been buying lemons every week with the intention of making this cake. I was in the need of a little something that reminds me of summer days. We make a lot of lemonade during summer but drinking something cold did not suit my winter idea. 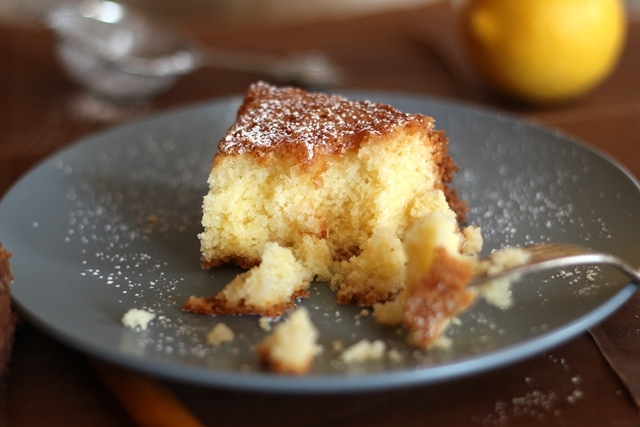 So I settled on this lemon cake that I used to make often for my brother back in old times. It has lots of tangy flavor with lemon juice glaze and has a different, dense texture due to wheat starch used. When I first made it here, I used cornstarch. The cake turned out to have more volume and finer crumb than the one with wheat starch version. Wheat starch makes it a little stickier as well. It has been busy several weeks, this cake was a good grab-n-go breakfast for us. Each slice not too sweet, not too tangy, had just enough kick to kick us out of the door. 1. Beat softened butter with lemon zest for 30 sec on medium speed. Add sugar, continue beating until combined. Add eggs one at a time. 2. Combine flour, starch and baking powder. 3. Add the flour mixture and combine until all combines and you have a smooth batter. 4. 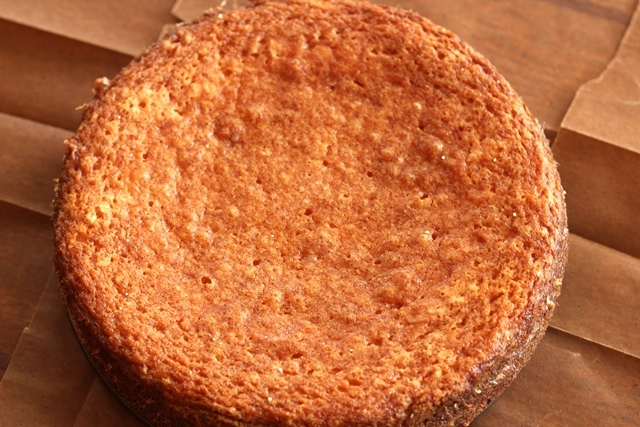 Grease a 9-inch round cake pan and line with a parchment paper. 5. Put in a cold oven, turn the oven on to 325 degrees. Bake for an hour or until the toothpick inserted comes clean. 6.Whisk lemon juice and powdered sugar together. Pour over the hot cake. Once it cools down and comes to the room temperature, sprinkle powdered sugar on top. Cake for breakfast is the best! Lemon season is always such a nice break in the middle of winter- lemon desserts and dishes are just the pick up needed when it’s grey and cold. Hope things are settling down for you now. It has been RAINING and a little sunshine is what I need over here. I love lemon, this looks like a perfect cake! I’ll make it soon. I don’t know what wheat starch is. Where would you buy it? Being a big fan of lemon, this looks wonderful to me. I’ve never seen wheat starch either. I’ll have to see if I can find it. Middle Eastern stores should have it and maybe supermarkets like Whole Foods, Earthfare but I have not checked them before. Lovely cake Ilke! I’ve been craving lemon too. Something about the flavor feels like sunshine. I love that it’s not too sweet, too. Beautiful! I bet this is amazing. 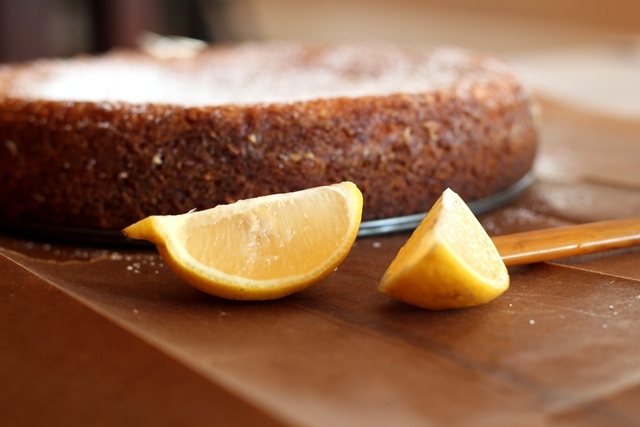 I know what you mean about lemons, maybe a little lemon cake would help with my cold! Ilke! This looks absolutely fabulous. Your pictures are just gorgeous! 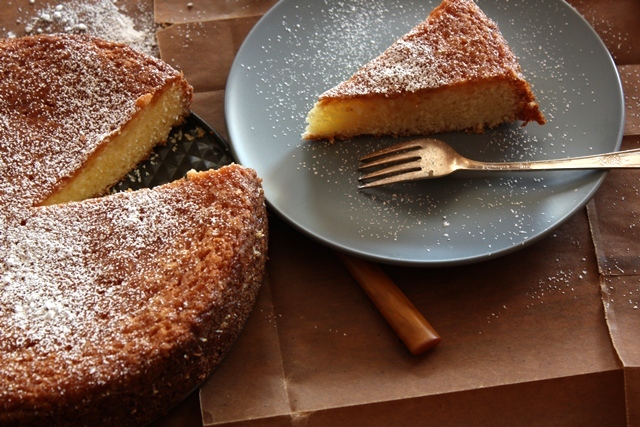 It reminds me of Ina Garten’s lemon yogurt cake, but a little less sweet and more tangy. I love it!